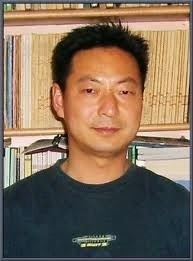 Guo was an associate professor at Nanjing Normal University until he was dismissed based on criticism he published, condemning the Chinese Communist government and an open letter to then President Hu Jintao, calling for a “democratic government based on multi-party elections that serves the interests of the common folk. Much of the criticism concerned the government’s handling of the 2008 Sichuan earthquake. Guo also participated in a campaign to protect the rights of demobilized military officers. In early 2008, Guo, with other plaintiffs, sued Yahoo! for having his name blocked from search results in China. Guo claimed that he lost business because of the removal. On October 16, 2009, Guo was sentenced to 10 years in prison and is serving his sentence in Pukou Prison in Nanjing.